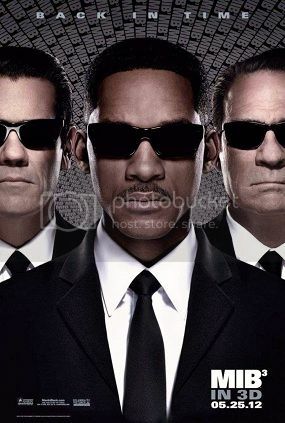 Men In Black was a very clever, creative Sci-Fi Action Comedy. It was also a rather large box office hit. Beyond the clever concept, the chemistry between Will Smith and Tommy Lee Jones helped make that movie as good as it was. After MIB 2, though, there wasn't a lot of demand for a third installment. It's not that the 2nd movie was horribly bad, just that it was horribly obvious that the studio forced a movie out when no one really wanted to make it. The script was weak, and everyone just seemed to be going through the motions. It was OK, but nowhere near as good as the first. MIB burnout came pretty quickly to the series. Fast forward 10 years and we've got Men In Black 3. Even in the movie there are allusions to the whole thing being tired (Will Smith's Agent J comments that he's getting too old for this stuff - and he can't imagine how Tommy Lee Jones' Agent K can keep going). And yet, with one clever twist the series has new life breathed into it. Agent K is killed. Back in 1969, by an alien that he captured that year. The time travel aspect really adds something new and entertaining to the series, making this movie worthwhile. 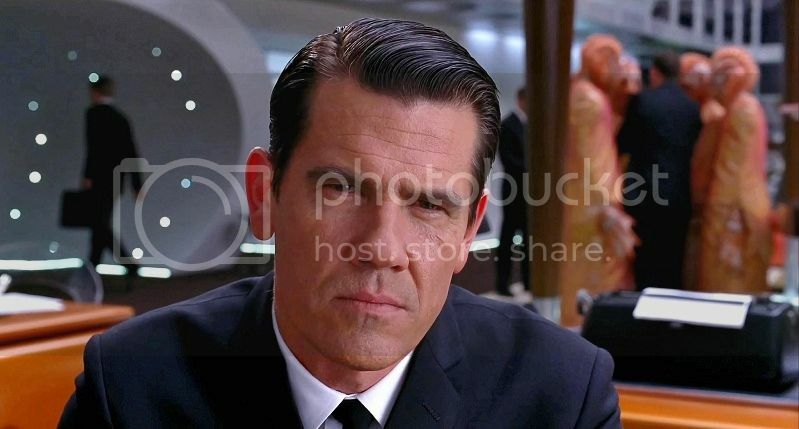 Worthwhile in large part due to Josh Brolin's performance as a young Agent K.
Brolin absolutely nails Tommy Lee Jones' speech pattern and mannerisms. Even his voice is an almost perfect match for Jones'. It is a fantastic performance, one that really makes the whole premise work. You really buy into the idea that this IS Agent K. Not just some younger actor playing the part, this IS Agent K.
With another 10 years of technological advancements in filmmaking MIB 3 looks better than either of it's predecessors, and the direction by Barry Sonnenfeld is as good as the work he did on the first movie - maybe better. Now, MIB 3 isn't high art, nor does it aspire to be. What this is is a very entertaining, fun movie. It is a great summer movie. Don't look for too much depth, because you won't find it. What you will find is the movie version of a roller coaster. It moves at a pretty good pace, and never stops being entertaining. Despite the skepticism and the cynicism surrounding the movie it really achieves what summer movies should achieve - fun. It's good entertainment. If you like roller coasters.